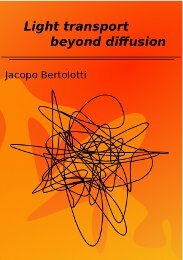 "Light transport beyond diffusion", University of Florence (Italy). "Studio sulla localizzazione della luce in sistemi disordinati unodimensionali", University of Florence (Italy). K. Vynck, J. Bertolotti, P. Barthelemy, and D.S. 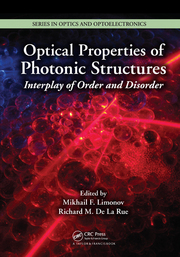 Wiersma, "Superdiffusion of light in Lévy glasses" in "Optical Properties of Photonic Structures: Interplay of Order and Disorder", (CRC Press, 2012).